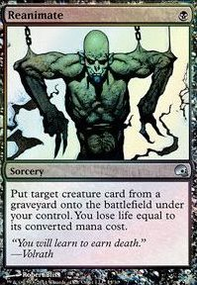 Adding black would also let you run cards like Nekusar, the Mindrazer , Fate Unraveler , Kederekt Parasite , etc... as alternate win cons in case you lose your Smothering Tithe. 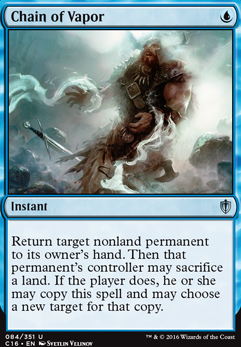 Right now I'm a bit concerned that it's vulnerable to exile when Return to Dust and Merciless Eviction are format staples. Something like Into the Roil or Chain of Vapor would help you rescue your Smothering Tithe in that event. Barrin, Master Wizard would also be excellent for getting added utility out of your treasures. I have been super impressed by Tezzeret the Seeker in my Tasigur deck, what's your opinion on it. I also have been super impressed by Underrealm Lich , I run it in my Lord Windgrace MLD deck and it just wins games, especially with Sylvan Library . What do you think? Is Incubation Druid a good enough replacement for Bloom Tender to run with Freed from the Real , or should I skip that combo entirely without the Bloom Tender? What exactly is the purpose of Dimir Charm . I've tried it, but I was left unconvinced. 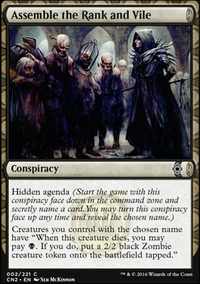 And what is usually the tiebreaken between Necropotence and Ad Nauseam ? As far as I understand it, Necro is more consistent, is better with a higher cmc, but is hard to cast and taxes your later card draw. AdNaus is way more explosive, better with a low cmc, but far more dangerous. Are there any more arguments for either card? You also don't seem to run Mystical Tutor , Chain of Vapor , Frantic Search and Nature's Claim . Why not? I couldn't seem find anything about these cards in the primer. Hey, to really speed your deck up you're going to unfortunately have to spend more money on better mana rocks and lands. That being said here's some budget options to help to improve your deck. Shivan Reef : ETB untapped to make colorless, red or blue mana. Ash Barrens : ETB untapped to make colorless mana or best of all can be discarded from hand to search for a basic land. Grixis Panorama : ETB untapped to make colorless mana and can be saced later on to find a basic Island or Mountain. Mystic Remora : one of the best repeatable sources of card draw in multiplayer Commander. Fellwar Stone : two drop mana rock that ETB untapped. Mystical Tutor : tutor for any instant or sorcery. Merchant Scroll : tutor for an blue instant. Twincast : copy any instant or sorcery. When you have multiple opponents this is very versatile or copy your own spell and get an additional effect for an additional two mana. Reverberate : same as Twincast. Chaos Warp : permanent removal, removal for Smothering Tithe . Chain of Vapor : nonland permanent bounce, bounce Smothering before you wheel or mass draw. Abrade : kill a creature or a mana rock. Reality Shift : instant exile is good in Commander. Bident of Thassa : lots of card draw with Insects, double your Insect army just by doing combat damage to an opponent, win condition with several cards here. Whirlpool Warrior : two wheels. Psychosis Crawler : more mana efficient win condition when drawing. Expedition Map : tutor for Reliquary Tower or Command Tower. Just being able to get Reliquary is worth it. Pull from Tomorrow : another good instant mass draw spell. If you like some of these suggestions then I offer help to make cuts. Good luck with your deck. multimedia on Niv Mizzet Parun - Wheel to win! Consider reducing the avg. CMC of your deck? Izzet and control thrive on being able to cast a lot of spells especially when you're wheeling. I presume you're playing Ulamog, the Infinite Gyre to stop yourself from drawing/wheeling your entire library as well as opponent mill against you? With your high deck budget there's several card upgrades to consider, even some budget cards. 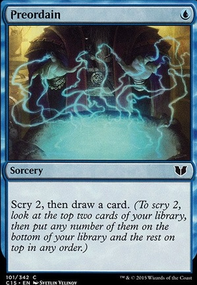 Consider Jace's Archivist ? It's a repeatable Windfall for one mana. Consider Mystic Remora ? 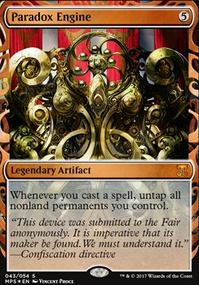 Like Study it's repeatable no mana cost draw and is excellent in multiplayer Commander. 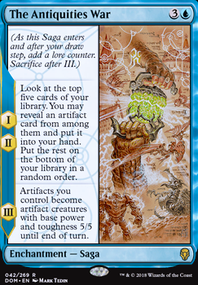 Consider Brainstorm , Preordain and Frantic Search ? All three of these are in the maybeboard, not sure why. Consider Twincast and Reverberate ? These are underrated spells in multiplayer Commander. When you have multiple opponents that makes these very versatile. Blue and Red lack a lot of tutors. 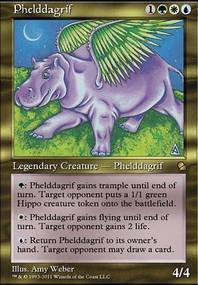 There's still a few good ones such as Gamble (consider adding), Mystical Tutor , Merchant Scroll , etc., but none of these compare to black powerful tutors or green creature tutors. These cards can act as a two drop tutor at instant speed or even copy your own wheel or Mystical. Consider Fabricate ? It can tutor for one of Puzzle Box, Crawler, Archive, or even Sol or Vessel, etc. Consider Expedition Map ? For one reason to tutor for Requilary Tower and/or Command Tower. For the manabase consider City of Brass , Mana Confluence , Forbidden Orchard and Ash Barrens ? City, Confluence and Orchard are more Rainbow lands and Barrens has basic landcycling or it can ETB untapped to make colorless. Smothering Tithe is a very popular white card and you don't want to wheel the table if this card is on the battlefield because your opponent depending on how many other players are still in the game can create up to 21 treasures from one wheel. Letting your opponent then have all the mana to cast all the cards they just drew from the wheel. Consider Chain of Vapor and Chaos Warp to help to against Smothering and other problem permanents? I am trying to finish an edh deck. Below are cards I am looking for. My binder is out of date. So if you have an updated looking for list would be helpful. I'm taking apart 6 edh decks and have lots of edh playables. For the reserve list cards listed, I would be willing to give a little extra for, or trade some of my reserve list cards (like cradle, metal worker, etc. ).